ITIL, also known as the Information Technology Infrastructure Library, is the global standard for IT best practices. In this short webcast, ITIL v3 Master Anthony Orr details what to plan for and pitfalls to avoid when implementing IT Change Management. 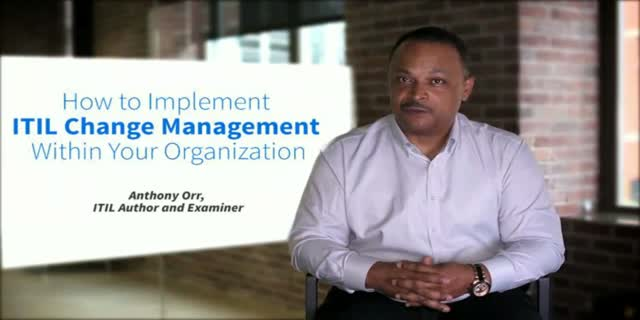 He discusses the reasons why change management is important and how to direct it within your organization in order to reduce risk and support the overall strategy of the business. Learn best practices from ITIL from Author and Examiner Anthony Orr.